Home > Royal Jelly > Royal Jelly - 1 kilo which = 2.2 lbs. 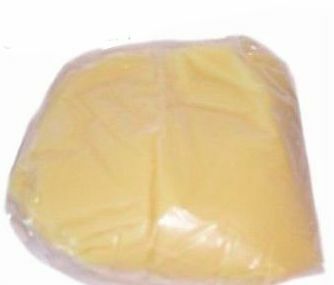 Fresh frozen royal jelly in a 1 kilo bag. (2.2. pounds) Please note shipping below so your order is not delayed! Honestly, this was the first time trying the Royal Jelly. I have very low immune system and l was told to try this product. I really didn’t like the taste and l had to close my eyes and my nose so l can eat it. I did so, and last couple days l had stomach pain and nausea. I stopped eating it for two days, and l started feeling better. Otherwise, the seller Becky is great and very professional. I really hope l will be able to eat it again so l can purchase it again and again. Product arrives cold and fresh! Love it. I've been using royal jelly for almost 2 years because I had metastasized prostate cancer to help with the fatigue and other side effects of the hormone treatment for the cancer. after 18 months of treatments I was told by my doctor I had no trace of cancer anywhere in my body. I believe God healed me but I still have to deal with the side effects according to my doctor, for another 18 months before its out of my system. 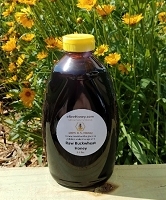 The royal jelly has greatly reduced the effects of the medications side effects. the fatigue was devastating and the royal jelly cut it by half at least. if i forget to take the royal jelly for a few days the symptoms come back. I am also diabetic and it also seems to be helping with some of the detrimental effects of the diabetes. This product is superior. And so is Becky and Glenn. I love you guys!! Love their royal jelly. I tried other places before, but either very small amount for lots of money, or it’s mixed with honey. Theirs is pure and all the time I’m taking it I did not get sick and my spring allergy almost none existing. I can’t stop telling people about it. It’s an excellent source of vitamins, minerals and some hormones (helps woman even with menopause). My mom took royal jelly all her life and because of her suggestions I’m taking it now. It even helped me get pregnant for the second time. You will have to take it every morning on empty stomach religiously though. It take about 2-4 weeks to fully work. Do not drink coffee after for about 2 hours, and only use plastic or wooden spoon as of metal spoons can ruin it. It is the best and healthiest straight from the bees. ?? I've been purchasing their royal jelly for almost 5 years. Never let me down. The product itself is great, also the shipment and package are all perfect! I called the seller before purchasing this item. The seller was very kind and told me all the benifits of this item, I ordered this item and it arrived the very next day was packed very well, packed in an insulated container with freeze pack. I would certainly buy this again. This is the 2nd time ordering a kilo of royal jelly. It is absolutely the BEST! I freeze some, mix some with honey and leave some in the fridge to take daily. Lots of energy and it is so good for you in so many ways. This is my second order of the Royal Jelly and I am confident not the last one. Once again, Becky was great in communicating to verify the order and shipment details. Once again everything arrived fast and perfectly packed in insulated box, fresh as always. Cannot be more happy than I am now! Thank you! 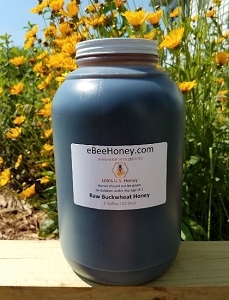 We bought Royal Jelly from eBeeHoney b/c of the care they take in preserving and shipping the product. It arrived well packaged and still cold. We're excited about using Royal Jelly and all of its health benefits. I have known about great benefits of Royal Jelly since I was a child. 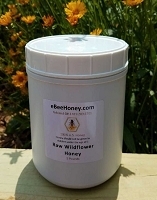 For some reason, there are no beekeepers, who collects and sells it in GA. That's why I was so excited when found eBee Honey website. I've ordered 1 kilo of this fantastic product and it arrived just as promised - in two days. When I got the box, I saw how perfectly everything was packed. 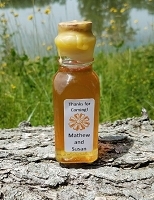 The comb honey was double packed, the Royal Jelly came in an insulated box with icepack and was still partially frozen. The packaging itself showed how knowledgeable Glenn and Becky are in what they do, and what they sell. I usually mix 1tsp of Royal Jelly, 1tsp of Bee Pollen, and 1/2 tsp of honey, and take it every morning. These three products combined together boost immune system like nothing else. It helps me to balance hormones (especially, after the thyroid surgery). I am definitely planning to continue ordering RJ from eBee Honey. Thank you,Glenn and Becky, so very much for such a great product! Great product and wonderful experience. I would like to thank Glenn for a wonderful experience and great product. Glenn answered all my questions about royal jelly by email. He was very informative, polite and prompt in his responses. I ordered royal jelly twice so far. One order was last summer and I just received another one. Both orders arrived still near frozen. I took half a spoon of royal jelly every day with couple spoons of honey. I divided 1 kilo into small portions, each was enough for a week or so, and stored it in small containers in the freezer and kept one in the fridge. I heard about many benefits of Royal Jelly and truly believe it helps to boost the immune system. Last year I took royal jelly over the first trimester of my pregnancy and I never got sick with cold or flu since then. 1 kilo of Royal jelly lasted for me for 2-3 month. I was in nursing school and was constantly exposed to sick people in school and in the hospital. There was always somebody coughing and sneezing around me. I was so worry that I will catch something during pregnancy. BUT! I never even sneezed. I had a great smooth healthy pregnancy, felt great, did not have any nausea or any other bad stuff. And I had a good healthy baby this spring! I am breast-feeding now, and I am taking royal jelly to help my baby to build strong immune system. So, I truly believe that royal jelly gave my immune system a good boost. It works for me and I will continue to take it and to give it to my family members too. Thank you, Glenn! I will order again! I have ordered the EBee Royal Jelly now twice. It has arrived timely and still cool to touch. I love the taste of this tangy, satiny jelly. I take a "table" teaspoon daily because I believe royal jelly has the best health and healing properties. Loaded with lots of B vitamins, including high levels of vitamin B5 and vitamin B6, and amino acids, including all eight essential amino acids. Further, it contains many other nutrients, including iron, calcium, vitamin A, vitamin C and vitamin E. It's been shown to have anti-cancer fighting properties and helps deal with stress and fatigue, along with many other benefits. I suggest anyone teetering on the brink of purchasing, do so, because you definitely can't go wrong adding royal jelly to your daily health regimen. 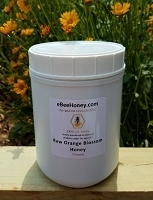 This was my second purchase from ebeehoney as the product last time was great. Just as good this time. It also arrived well packaged and frozen solid. My friend and I take 1/2 to 3/4 teaspoon every morning with applesauce and have all the energy we need for the day. Royal Jelly worked for my daughter's fertility issues! I had heard that Royal Jelly improves the quality of eggs for a woman. I ordered some for my daughter, who is 41 yrs. old with limited good eggs and one failed In-Vitro procedure last year. She planned one more In-Vitro procedure this summer. (2015) I ordered your frozen Royal Jelly. She took 1 teaspoon daily for 3-4 months before her In-Vitro in July of this year. At egg retrieval, her eggs had increased from 2 good ones (last yr.) to 5 very good ones this year, one ready to implant within hours of transfer. She even had enough to freeze some for possible future use. She is now 14 weeks pregnant and doing great! We attribute this to your wonderful Royal Jelly, even though the doctor thinks this had nothing to do with it. Nice product. Web description including shipping choice is clear. Shipped promptly. Nice package. Quality is as nice as expected. This is my first time trying Royal Jelly and I really like it. It gives me energy at work, the gym, and it helps me sleep good night. I recommended it to my friends and family. Thank you Glenn! This product is amazing! It is the best deal I have found for this quantity and being fresh. My entire family takes it daily. Even my little ones will take it off the spoon without an issue. Very impressed with the customers service though a little disappointed with the shipping as they only ship Mon - Wed. I like the royal jelly ，it unexpectedly improved my sleep and gave me more energy. I will definitely recommend to my friend and will order more. Thank you very much for the good quality and great product! I have eaten Bee products for many years, I have honey every day and have for years. I believe it is the best food in the world. I have taken capsules of freezer dried royal jelly before, but this is the first time I have eaten raw jelly I am working on my third bag in just a few months, I thought I would gorge on it to get it in my system faster, like the bees do when you smoke them. My weight is down about 6 lbs already and my energy is up. I am looking forward to what it does after a few months more. I highly recommend it. Great product!! Received it on time as it had been said from the seller. I have ordered the product several times and has always been great and worthy. It was Delivered as schedule,still cold and very well packaged,the product appeared exactly like in the picture and the taste is fresh,I like it and will recommend it. I don't know of anyone else who sells royal jelly in bulk like this. It is a raw product although it has been frozen. I cut a corner off the bag, dispensing it like squeeze-a-snack and keep it in the fridge. It has never spoiled on me. 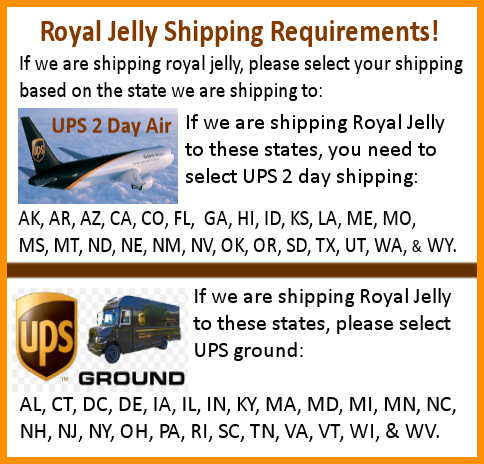 I ordered 2.2 pound bag of royal jelly for my husband and I, it arrived as scheduled and was still frozen and fresh. I pray it will help me with my infertility issues. 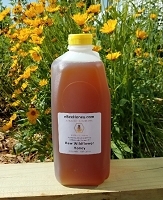 I love taking the royal jelly with my honeycomb - clover it takes the bitter taste away. it's my first to order and also consume royal jelly. I was searching a lot of online stores to make final decision. I saw this website and read the customer reviews, so many good things other customer are talking about this store, so I decided to order from here. When I received the package, it was so tight, so I ripped off the cardboard and still ice in the ice bag, and took out the royal jelly and separated 2 pounds into 3 jars. Of course, I tasted a little bit, I wasn't sure how does royal jelly taste like, sweet and sour, little strange after taste. I mixed one jar with organic honey, store another in the freezer. I think I will try to keep eating this, see what will happened, so fa so good, I feel like my skin is softer than before. Great Quality Products. Thanks for all, it's an amazing product. We enjoy Royal Jelly and it's benefits. Still on the cool side in July heat when arrived......I like the quality and the price! Arrived on time in cool condition. I have ordered this product multiple times, and I have never been disappointed. Its fresh and great. Shipping is quick and and effective. Excellent quality of the product we like it. Seems to be all it is supposed to be. Arrived in short time. All is well. This was the first time that I dealt with ebeehoney and I am so impressed. Appreciated their patience as I asked many questions before I ordered. Then my order arrived quicker than I expected, the royal jelly was still almost frozen and the taste was vastly superior to the brand I was buying at Whole Foods for so much more. 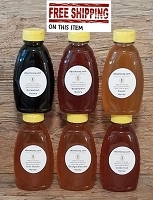 I heartily recommend this company to anyone looking for quality bee products and friendly, knowledgable service. The Royal Jelly came really fast and in good condition. I think it tastes good when mixed with honey, and it works really well as a facial. The Royal Jelly makes my skin softer and gives it a glow. I definitely recommend this product! I have to admit I was somewhat skeptical about the freshness of the Royal Jelly and keeping it that way during shipping. It was so well packaged that it was still frozen solid upon arrival. It is very fresh and tastes exactly like the RJ I have been buying locally from one of the best. The only difference is the cost...ebee honey is a much better price, even with the shipping cost. 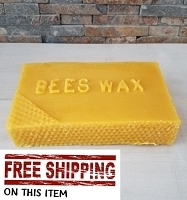 I will be ordering more of the RJ as well as other Bee products. Quality and service from this product was excellent. good for all around food source,great quality, shipped in fresh quality and for a good price thank you will buy more in the future. On time service. Royal jelly was still cool, not warm. Great benefits. Best deal on the internet or in any store I've found. I'll definitely re-order. At first, I ordered the small 4oz jar as trial. I decided to order 1 kg one more because I know I feel better. This is the first time I bought real fresh royal jelly ,before I bought from a different source, so called frizz dried one but, that procedure is fogy to me, because so many things can be deleted and also added to the royal jelly This is the real thing and from now on I will only purchase from this company because it is what I always wanted. Did mixed up whit raw honey the whole 1 kg, because this way it will newer spoil even outside of the refrigerator. I ordered this product with more than a little suspission as to what exactly I would be getting. The Royal Jelly did in fact come in 2 days flat and was cold upon arrival. I was unsure about the best way to start taking it and shot off a little query on the facebook page. Started with half a teaspoon daily and am up to 2 teaspoons. I just eat it straight and chase it down with a small bit of honey. My energy has really shot way up and I have noticed a marked improvement in my stamina. This Royal Jelly is the only change I have made, so I'm inclined to think it's living up to what I've heard. Will deffinately re-order. I was impressed with the speedy, "cold" shipping method to preserve the integrity of the royal jelly. I use it in skin salve that reduces wrinkles and enhances skin texture. Customers love the cream and it wouldn't be possible without the royal jelly component! Thanks for all, it's an amazing product. We enjoy Royal Jelly and its benefits Thanks again. I really appreciate the double package (bagged and in canister). 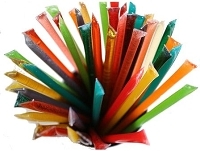 Its easy to get some out and thaw it and freeze the rest. My husband and I both take a spoonful daily, and really notice a difference! Quality of product is good. Only one problem with shipping It was provided with one cooler and by the time it was delivered Royal Jelly was worm.